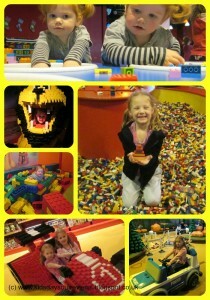 Legoland Discovery Centre is an indoor attraction in The Trafford Centre in Manchester, and it is ace. 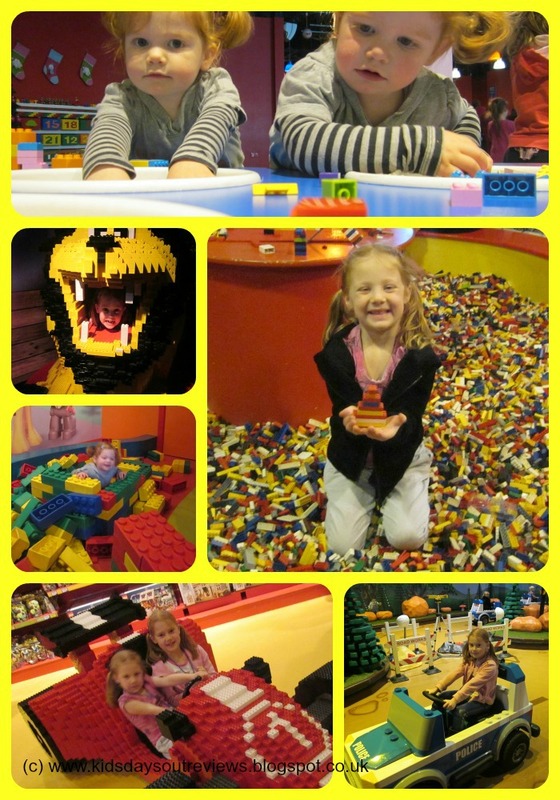 For Lego fans young and old, it is a must-do, and brilliant for this time of year when the weather is not so good and there is lots of Christmas shopping to be done. We visited on the first Saturday in December and it really wasn’t that busy, which is great. 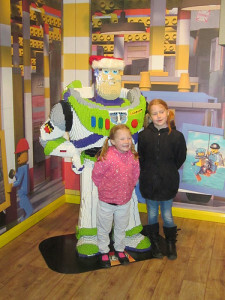 Firstly, we had our photo taken with Buzz Lightyear. This is an official photo point with a photographer but we weren’t stopped from using our own camera. Then we took the lift to the first floor where we joined a tour group. The start of the tour was a demonstration of how Lego bricks are made. Of course it’s not real, but the little ones love it, and they all get a freebie at the end. Then it’s on to the main part of the centre. First up is Kingdom Quest, a laser-shoot-em-up ride with little (4 person max) carriages going round. You shoot trolls and skeletons to save the kingdom. See if you can’t beat your friends’ scores (or in my case, that of an 8 year-old. Like candy from a baby). 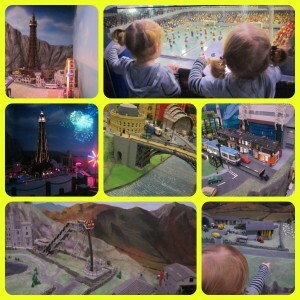 After that it’s my favourite part – Miniland – which is the usual recreation of famous landscapes in Lego. This being in the North of England there are local scenes, such as Old Trafford and Coronation Street, Leeds Town Hall, and Blackpool sea-front and tower. The lights go down periodically so it looks like night-time, and the fireworks are very impressive. Through Miniland and there are lots of things to explore. My 8-year old’s favourite part was the Racers Build and Test area. 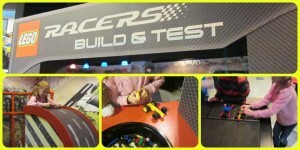 Here you build a Lego vehicle and test it down various ramps. She enjoyed racing her car against those of the boys. 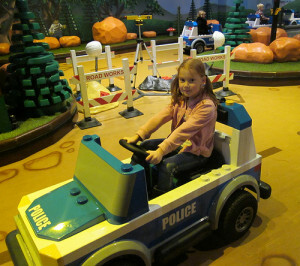 Forest Pursuit is where you can drive cars round a track past giant Lego cops and robbers, and you can get a driving license at the end (£8 each for a pic on a card in a lanyard, or £10 for two bought together). 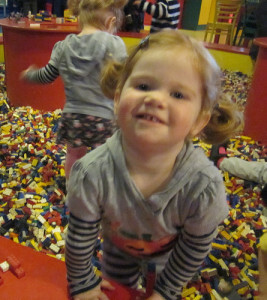 In the middle is a brick-pit, like a ball-pool but with Lego bricks. Ace. Crunchy, but ace. Wear shoes. 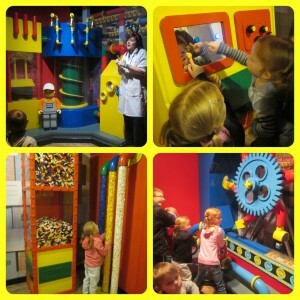 In the Model Builders’ Workshop you are talked through making a model by one of the Lego master builders. Spaces are limited here and on a first-come-first saved basis, so get in quick. These run every half-hour. 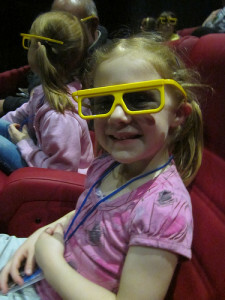 In the 4-D cinema we watched a short film of the adventures of Clutch Powers and his gang. The animation is brilliant, and there is water spray, dry ice (smoke) and a fan for the helicopter. Sit in front centre for maximum impact. We really enjoyed this bit. A little bit of excitement and peril but not too scary for the younger ones. Lego Friends corner is pretty poo. 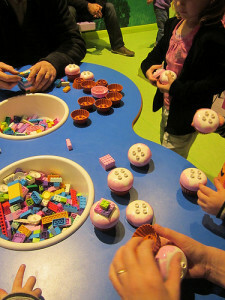 It’s a collection of girl-friendly bricks and Lego cupcakes, and a karaoke machine. 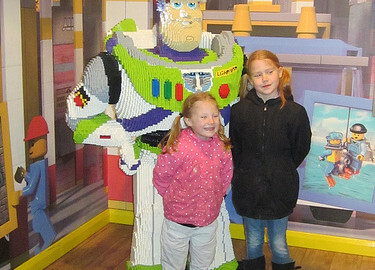 The girls loved it, but then they loved other parts of the attraction too. They spent a lot of time here though making different combinations of cupcakes and putting them in the Lego oven to ‘bake’. The soft play is pretty good. It’s fairly standard but three-storey and on a Lego theme. My 5-year old loved this part. The Merlin’s Apprentice ride is small but fun. You sit on a two-person carriage, go round and round, and pedal. The faster you pedal the higher you go. Not easy to do for small children but good exercise for us adults. 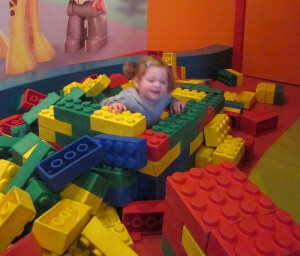 Duplo village is a play corner for tots with large, squashy Lego bricks. The almost 2-year olds liked this part a lot. The cafe is reasonable quality and value (for example a child’s 4 item sandwich box is £4, which isn’t too extortionate). There aren’t a lot of tables though and you might have to fight for a seat during busy periods. Back out and you get to Lego Universe. 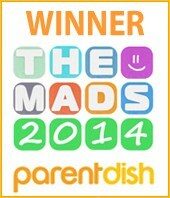 This is a walk-through interactive feature which the children loved. You step on lights and they make funny sounds, like a chicken or a raspberry. Then back in the lift and downstairs (exit through the gift shop). You can visit the gift shop without paying to get in to the main centre and the shop is fun in itself. 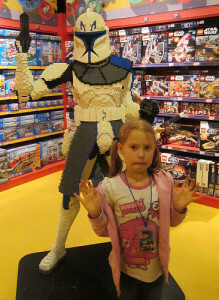 There is something Lego-y to buy to suit all tastes and budgets, especially Star Wars and Harry Potter. You can get free tickets to the centre if you spend enough in the shop. Visit the website for more details. Total trip length – 3 hours including a short stop in the cafe. 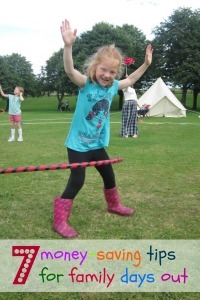 Adults/children are £12 online or £16.20 on the door (Under 2’s are free). There are loads of special deals available so please check the website in advance. For example, you can go after 4pm (book online) to get reduced price tickets. This gives you 3 hours (it’s open til 7pm), which is plenty. 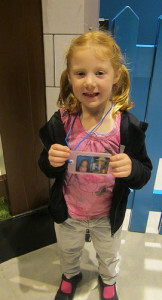 If you plan on being a regular visitor, the annual pass is very good value. 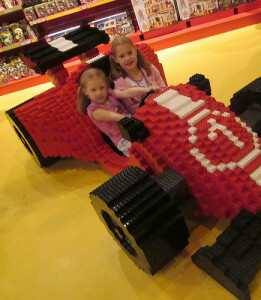 Legoland Discovery Centre is in the Barton Square part of The Trafford Centre and you can park over that side to save the walk over from the main part of the mall. Height restrictions apply to the rides and the soft play. Please check before you go if you really want to use a specific attraction. You can tie this in with a visit to the new SeaLife centre next door! Disclaimer – this information applies to the LDC at Manchester, England. We have not visited any of the other LDCs around the world. We loved it too. We live over an hour away but it’s worth a repeat visit. Thanks for stopping by and commenting.